This entry was posted in News on April 12, 2019 . A local MLA wants stiffer penalties for drivers who refuse to stop for school buses with flashing lights. 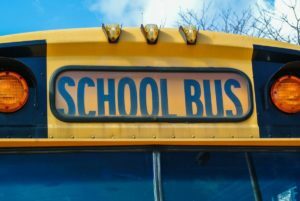 Pictou Centre MLA Pat Dunn introduced the Safely to School Act on Wednesday, which would increase the penalties to drivers who pass a stopped school bus with flashing lights. Dunn said the current penalty is a $410 fine and six demerits on a drivers’ license. The Act suggests making the penalty 10 demerits, which means an automatic six month driving prohibition, and a fine of up to $5,000. Dunn said the current penalties don’t seem to be enough of a deterrent for drivers who continue to pass busses. He said there were 1,100 incidents reported around three years ago. Talking with bus drivers and RCMP, he said it’s nothing to hear of 30 to 40 incidents in a month. Dunn said the legislature is likely wrapping up for the season today so it will carry over to the fall for second reading.